"Mark Wilson and TWFG Insurance are always stellar in helping with all our insurance needs. Mark continually works hard to get us the best insurance policy for the most reasonable price. We currently have home, auto, and ministry insurance through Mark, and we couldn't be happier with his professionalism and friendly service. We highly recommend Mark and TWFG Insurance!" "We have been using TWFG & agent Mark Wilson for our insurance needs for many years. He has always provided us friendly, prompt, thorough service to help us find the perfect home, auto, & life insurance policies to fit our budget & needs. 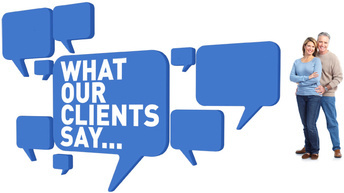 I would highly recommend TWFG & Mark Wilson to any family & friends without hesitation." "Best Insurance broker in Texas! Quality service. Genuine care. Best affordability." "Mark Wilson is my insurance agent . I have also referred many of friends and clients. He is professional , courteous and diligent. I highly recommend Mark for all your insurance needs."